The Washington Post has the exclusive though obviously unwanted distinction of having brought the world the bogus story about Jessica Lynch and her battlefield heroics during the early days of the Iraq War. But in what has been a remarkable case of deflected attention, the Post’s singular role in the botched hero-warrior tale about Lynch has been obscured in favor of a darker, more sinister narrative that the Pentagon concocted the story and fed it to the American public. That version — the military made it up — has become the dominant narrative of the Lynch case and is predictably invoked whenever Lynch attracts the news media’s attention, as she did on the Fourth of July. She was in Idaho then to give a talk at a Presbyterian camp. Her appearance drew local news coverage, including a report published yesterday in the Spokesman-Review newspaper of Spokane. As Vernon Loeb, one of the Post reporters on the botched Lynch story has made clear, the Pentagon wasn’t the source of the hero-warrior tale. The dominant narrative is a false narrative. Loeb then was the Post’s defense correspondent. He shared a byline with Susan Schmidt on the sensational story about Lynch, which was published April 3, 2003, on the Post’s front page. Lynch, a supply clerk in the Army’s 507th Maintenance Division, also was stabbed before being overwhelmed, according to the Post. The newspaper cited otherwise unidentified “U.S. officials” for its sensational story, which was picked up and reported prominently by news organizations around the world. The hero-warrior tale turned Lynch into the war’s best-known American soldier. But it wasn’t true. Lynch hadn’t fired a shot in the ambush. 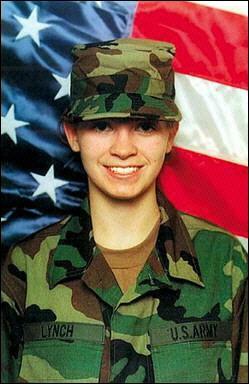 She was badly injured not from gunshots and stabbings, but in a Humvee that crashed fleeing the Iraqi attack. In the years since, the Post has not objected as the dominant narrative about the origins of the Lynch story has shifted to the Pentagon. The newspaper has said little, if anything, about the now-routine inclination to blame the military for the bogus tale. Indeed, the newspaper has “never fully acknowledged or explained its extraordinary error about Jessica Lynch,” as I write in my latest book, Getting It Wrong. It is certainly time for the Post to identify the “U.S. officials” who led it so badly astray on the Lynch story; doing so would clarify what role, if any, the Pentagon had in the derivation of the bogus tale. “Our sources for that story were not Pentagon sources. “And, in fact, I could never get anybody from the Pentagon to talk about those reports [about Lynch’s battlefield heroics] at all. I got indications that they had, in fact, received those intelligence reports, but the Pentagon was completely unwilling to comment on those reports at all.